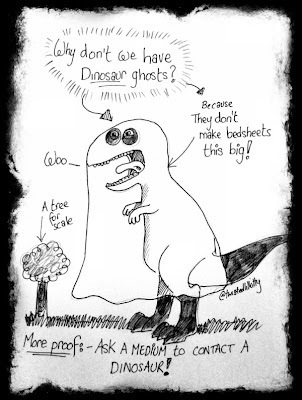 I was perusing Twitter as I do most days, and I came across an amusing artist/doodler who came up with this simple answer to one of the biggest questions in paranormal research. 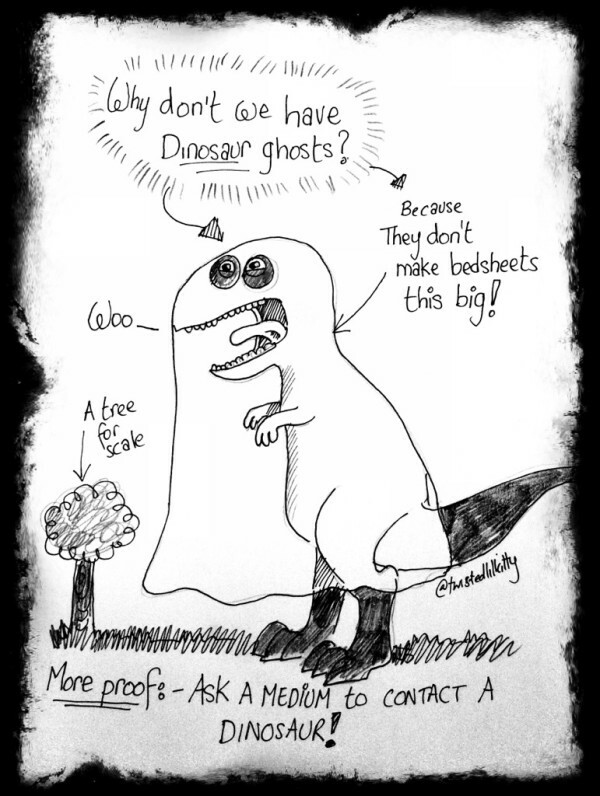 Why don’t we have dinosaur ghosts? I think she answers it very well. This is the heartbreaking story of what is now sadly known as just another Sylvia Browne Victim. 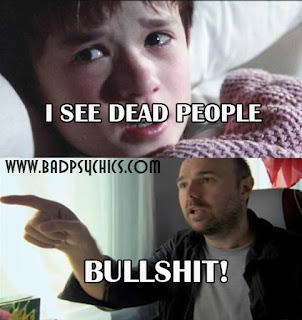 Psychics/mediums are doing harm. They may wrap up their lies and fraud in a false justification of helping people, but to believers their words are so strong, to them its real. And all it takes is one wrong word from a psychic, and you are left with an eternity of hurt and regret. Here is a news story from KMOV on just such a victim. KMOV's hidden cameras capture self-proclaimed psychic Sylvia Browne making bold predictions about a mother's dying son. Not one of Browne's predictions came true. The woman's son died two days later. 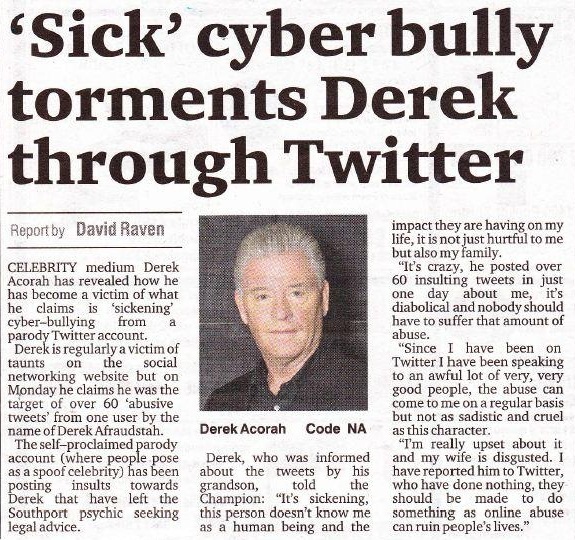 This story was on KMOV-TV in May 2010.